After three albums in "Beatles For Sale", "Help!" and, to a slightly lesser extent, "Rubber Soul" that heavily featured "country rock", mid-paced laid back tunes, The Beatles produced their first really credible rock album. Bob Dylan had led the way, joined by The Rolling Stones, The Kinks, Pink Floyd among others in finding weird and wonderful ways of producing electrified music. The Beatles, by now wanting to experiment more and more after being somewhat conventional, let their creativity fly free and they came up with music that was, in so many ways, totally unique. The previous three albums had also been notable for quite clearly being divided into Lennon songs, McCartney songs, a couple of Harrison songs and usually one or two "Ringo songs". This was now incredibly apparent on "Revolver" as each track was instantly recognisable by its vocalist/main contributor. The album's ambience literally changes from track to track. Rolling Stones albums contained obvious Jagger or Richards songs, but it was nowhere near as defined as this. The Beatles were almost unique in this regard, only Queen, in the 70s and 80s, with songs by Mercury, May, Deacon and Taylor have come close to releasing albums full of such diverse material. Lennon first leads proceedings on the somewhat dreamy, "I'm Only Sleeping" ("seeping" as he enunciates at times). It is laid-back and there are hints of drugginess, also of Lennon's perceived "laziness". There is also a fuzzy Harrison guitar solo. "She Said She Said" has a very psychedelic feel (it really was Lennon who led the way in Beatles psychedelia). McCartney, apparently, walked out on the session. It feels like the first of many typical latter period Beatles Lennon numbers. The non-album track, the excellent "Rain", had a similar feel. All very LSD it has to be said. All the better for it too, it would seem. The upbeat, rocky "And Your Bird Can Sing" has a superb guitar riff intro and a totally different ambience to "She Said She Said". Lennon is much livelier, vocally and lyrically too, although McCartney always claimed about 20% of the lyrics were down to him. Compared to the previous two, I can see that. "Doctor Robert" is also a fast-paced rock song, about a drug peddler. Some nice harmonies on the "well well well" vocal part. Then, of course, there is "Tomorrow Never Knows", the tour de force which saw Lennon fully launch into the experimental style which would so dominate his work for The Beatles over the next four years. All sorts of instruments, tape loops, feedback, Harrison's Eastern influence, weird lyrics - they are all in there. In many ways it a more intriguing track than "A Day In The Life". A perfect example of Lennon's drugged-up latter era Beatles genius. It began here. The cynical love songs of the previous three albums had gone by now. This was a new direction for Lennon, and it was markedly different to that of McCartney. 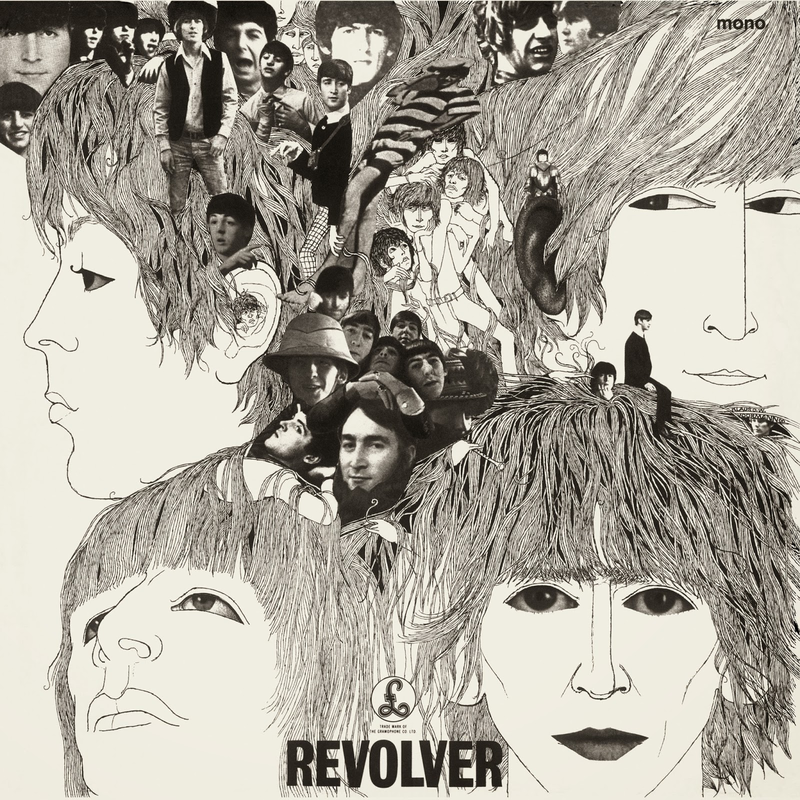 Funnily enough, I have always though of "Revolver" as a "Lennon" album, but there are only five direct songs from him, which just goes to show how strong and dominating they are. Also, Harrison's songs were far close in feel to Lennon's than they were to McCartney's, in my opinion. "Eleanor Rigby" is always thought of as a Beatles song, and credited accordingly. Of course, it is not. It is, like "Yesterday", Paul McCartney and various instrumentalists. No Beatle actually played any instruments on the recording. It is one of McCartney's "character" songs, at which he so excelled. The beautiful, gentle ballad "Here There and Everywhere" was said to be inspired by McCartney's favourite song, The Beach Boys' "God Only Knows". "Good Day Sunshine" was one of those optimistic, joyful McCartney songs that Lennon was not too keen on. It just sums up the mid 60s with its piano melody and catchy lyric. "For No One" is possibly his finest song on the album. A tender, harmonious love song with a fetching ad hoc French horn solo. 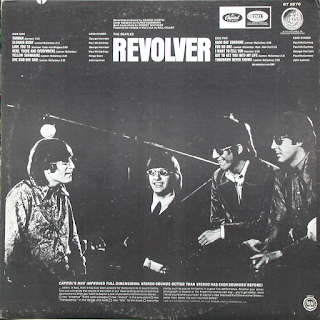 Both Lennon and Harrison were not required to supply guitar parts on this or "Sunshine", something that showed the first musical cracks beginning to appear. "Got To Get You Into My Life" was a vibrantly commercial, Motown-influnced horn riff dominated song that sat somewhat uneasily within the general feel of the album, particularly as "Tomorrow Never Knows" was next up, and Harrison's melodically challenging "I Want To Tell You" preceded it. It has a great vocal and an irresistible chorus that makes it always a pleasure to hear, though. The clumsy stereo of "Taxman" (one of the few tracks that I, a stereo man, prefer in mono) is probably Harrison's highlight on the album. Some rare political lyrics and some brutal guitar attack. The riff was recycled by The Jam on their hit single, "Start!" in 1980. "Love You To" was Harrison's first experiment with Indian music, his by now typical fuzzy guitar merged successfully with many percussion and string instruments from various Hindi instrumentalists. Lennon liked this, I am sure. Not sure about the other two. "I Want To Tell You" has a chorus that sticks in your head, although the rest of it is a little muddled, some clunky piano parts from McCartney and a staccato guitar riff make it still a memorable track. I think it is prudent to refrain from commenting, only to say it does not appear on my digital version of the album. 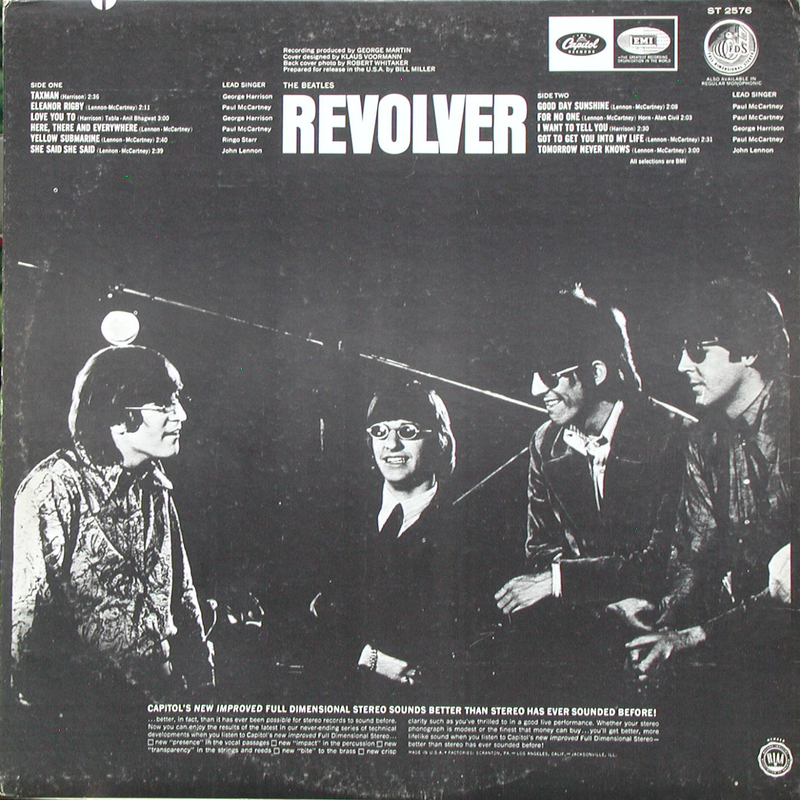 Along with "Rubber Soul", "Revolver" is my favourite Beatles album. Although I love the 2009 stereo version, I also enjoy listening to it at a good volume pumping out of my speakers in true mono.